The names below all feature on the Aldeburgh War Memorial. Most have connections with the town, some have none. In the immediate aftermath of World World One, names were assigned to war memorials across the country in an attempt to make sure that everyone who paid the ultimate sacrifice received official and public recognition - irrespective of their place of birth. 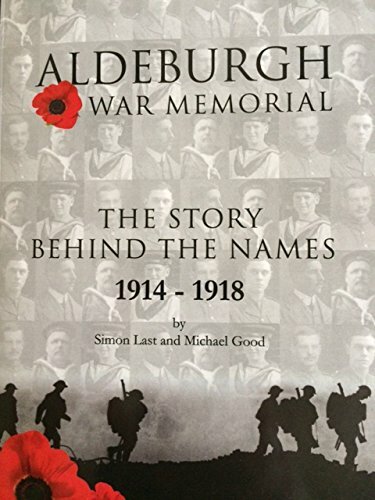 This information was extracted from Aldeburgh War Memorial - The Story Behind the Names 1914-1918 by Simon Last and Michael Good, past Mayor of Aldeburgh who very kindly gave permission to use these short biographies. The book contains a vast amount of information about Aldeburgh during the Great War, with photographs and letters and a wonderful description of the building of the town’s War Memorial. To order a copy of the book, please click here…. The names of these brave people may be set in stone….but this archive is alive.  If you can add anything to the stories of the people listed below, please email info@aldeburghtowncouncil.co.uk and we will amend entries. Born February 1 1887, died June 4 1914 - aged 27. Family lived in Wimbledon but built a house in Lee Road, Aldeburgh and were one of the founders of the Aldeburgh Yacht Club. Service details: Lieutenant, Royal Marine Light Infantry, Royal Navy Flying Officer/ Royal Flying Corps. Died in a flying accident off Calshot, Hampshire, June 1914. Place of burial: Haslar Royal Naval Cemetery, Hampshire. Born April 13 1884, died September 9 1914 - aged 30. Born in Ewell, Surrey but the family moved to Aldeburgh. Service details: Captain, 2nd Battalion, Suffolk Regiment. Killed by a sniper at Soissons, France in September 1914 during the Battle of the Marne. Place of burial: Montreuil-Aux-Lions British Cemetery, France. Born December 21 1891, died September 17 1914 - aged 22. Born in Aldeburgh, family lived in Lee Road. Service details: Stoker 1st Class K/7458, HMS Endeavour. Death due to injury or illness while on active service. Place of burial: Lowestoft Cemetery, Suffolk. Born June 19 1882, died September 22 1914 - aged 32. Service details: Leading Stoker HMS Hogue. HMS Hogue was torpedoed and sunk while picking up survivors from a previous torpedo attack. Place of death: At sea. Place of burial: At sea. Commemorated: Chatham Naval Memorial, Kent/ Aldeburgh War Memorial. Born in Honor Oak, London. His mother was the daughter of Newson and Elizabeth Garrett. Service details: Private, London Regiment. Died in the Battle of Ypres. Place of burial: Not known. Commemorated: Ypres (Menin Gate) Memorial/ Aldeburgh War Memorial. Born February 25 1884, died November 26 1914 - aged 20. Service details: Able Seaman HMS Bulwark. HMS Bulwark blew up at Sheerness with massive loss of life. Place of burial: Gillingham Woodlands Cemetery. Born December 3 1872, died December 2 1914 - aged 42. 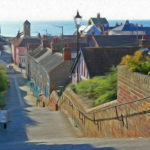 Born in Leamington, but family connections in Aldeburgh. Service details: Captain, Third Battalion, East Yorkshire Regiment. Served with the Expeditionary Force in France, killed in action. Place of Burial: Ste.Marie Cemetery, Le Havre. Born April 1893, died May 8 1915 - aged 22. Service details: Second Lieutenant, attached to Suffolk Regiment. Commemorated Ypres (Menin Gate) Memorial/ Aldeburgh War Memorial. Born in Bury St Edmunds. His mother was the daughter of Newson D.Garrett. Service details: Captain, attached to Scottish Rifles. Died in the battle for Aubers Ridge. Place of burial: Rue-Petillion Military Cemetery, France. Born April 1890, died August 2 1915 - aged 25. 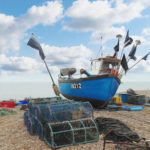 Born in Snape, the family moved to Fort Green, Aldeburgh. Service details: Private, Suffolk Regiment. Died during the Battle of Hooge. Place of burial: Woods Cemetery, Belgium. Commemorated: Aldeburgh War Memorial/ Snape War Memorial. Born January 1873, died August 7 1915 - aged 42. Service details: Private, New Zealand Expeditionary Force. Died in the battle for Chunuk Bair, Turkey. Commemorated: Chunuk Bair Memorial, Gallipoli/ Aldeburgh War Memorial. Born July 1889, died August 9 1915 - aged 23. Service details: Royal Naval Lieutenant HMS Lynx. Died after HMS Lynx hit a mine in the Moray Firth. Commemorated: Portsmouth Naval Memorial/ Aldeburgh War Memorial. Born November 13 1885, died August 22 1915 - aged 30. Born in Marylebone, parents lived in Gower House, Aldeburgh. Service details: Captain, East Yorkshire Regiment. Died during the Gallipoli campaign. Place of burial: Green Hill Cemetery, Turkey. Born October 1892, died September 28 1915 - aged 23. Born in Aldeburgh, family lived at Town Steps. Service details: Gunner, Royal Field Artillery. Died during the Loos offensive. Place of burial: Cambrin Churchyard, France. Born October 1888, died November 12 1915 - aged 27. Service details: Private, Army Service Corps. Died following a road accident in France. Place of burial: Calais Southern Cemetery, France. Born October 19 1862, died January 3 1916 - aged 53. Born in Aldeburgh, family lived in the High Street. Service details: Deckhand, HM Drifter Golden News, Royal Naval Reserve. Drowned at sea off the Irish Coast. Born January 1896, died January 7 1916 - aged 21. Born in Bedfield, family lived at Hazelwood, Aldeburgh. 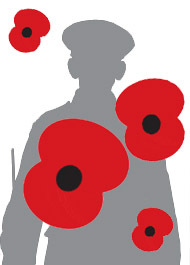 Service details: Private, Army Service Corps, Motor Ambulance Convoy. Died following a bomb blast at Salonika..
Place of burial: Salonika Military Cemetery. Born October 1883, died January 13 1916 - aged 33. Service details: Private, 7th Battalion, Suffolk Regiment. Place of burial: Guards Cemetery, France. Born February 2 1889, died April 27 1916 - aged 17. Born in Hazelwood, Aldeburgh. Family moved to what is now 9 Leiston Road. Service details: Boy 1st Class, HMS Russell..
Died after his ship hit mines off Valetta harbour, Malta. Born March 2 1899, died April 27 1916 - aged 17. Born in Aldeburgh. Family lived at Crag Pit Farm, then Alde Lane. Friend of Bertie Knights. Born July 1897, died July 1 1916 - aged 19. Born in Swaffham with family connections to Aldeburgh. Service details: Second Lieutenant Seaforth Highlanders. Died during the Battle of the Somme. Place of burial: Cerre Road Cemetery, France. Born April 1893, died July 1 1916 - aged 23. Born in Hampstead, the family lived in Grosvenor Place, Aldeburgh. Service details: Captain, London Regiment. Commemorated: Thiepval Memorial France/Aldeburgh War Memorial. Born July 1896, died July 3 1916 - aged 20. Born in Aldeburgh. His father was manager of Barclays Bank. Born January 1892, died July 20 1916 - aged 34. Service details: Corporal, Suffolk Regiment. Died during the offensive on Longueval and Delville Wood. Born July 1891, died July 3 1916 - aged 25. Born in Bury St Edmunds, family moved to Fawcett Road, Aldeburgh. Died during the offensive on Ovillers. Born September 9 1898, died August 7 1916 - aged 17. Born in Aldeburgh. Family lived at Slaughden, then King Street. Service details: Deckhand, HM Trawler John High, Royal Naval Reserve. Died when his ship hit a mine off Murmansk. Born April 1879, died August 12 1916 - aged 25. Born in Aldeburgh. Family lived at the Brudenell Hotel, then Rowley House. Service details: Queen Alexandra’s Royal Nursing Service, Hospital Ship Takada. Died in service on the ship. Place of death: Hospital Ship Takada, Indian Ocean. Born July 1891, died August 17 1916 - aged 25. Born in Aldeburgh. Family lived at Hall Cottage. Service details: Private, Australian Infantry. Died in the battle for Pozieres Ridge..
Commemorated: Villers-Bretonneux Memorial, France/ Aldringham Baptist Church War Memorial/Aldeburgh War Memorial. Born January 1894, died August 22 1916 - aged 26. Born in Aldeburgh. Family lived at Flinthams Estate, then Leiston Road. Service details: Private, East Kent Regiment. Died in action at Guillemont. Place of burial: Delville Wood Cemetery, Longueval, France. Born January 1895, died September 16 1916 - aged 21. Born in Aldeburgh. Family lived on the High Street. Died in action at the Battle of Flers-Courcelette, Somme. Born June 1897, died October 12 1916 - aged 19. Born in Aldeburgh. Family lived on Alde Lane. Died in action. Details unknown. Born November 27 1886, died October 26 1916 - aged 29. Born in Aldeburgh. Family lived at Slaughden, then Town Steps. Service details: Deckhand, HM Drifter Spotless Prince, Royal Naval Reserve. Died in action in the English Channel. Born January 1888, died October 12 1916 - aged 29. Born in Bruisyard. Family lived on Crag Pit Lane, then Alde Lane. Born July 12 1877, died October 26 1916 - aged 39. Born in Aldeburgh. Family lived at Town Steps, High Street, then Kings Street. Service details: Second Hand, HM Drifter Spotless Prince, Royal Naval Reserve. Born October 1888, died October 26 1916 - aged 28. Born in Sudbourne. Family lived at Flintham Estate, them Tyne Cottage, Aldeburgh. Born October 1877, died February 24 1917 - aged 39. Born in Grantham. Family lived in Benhall, then Town Steps and High Street, Aldeburgh. Service details: Private, Northumberland Fusiliers. Died at the Battle of Arras. Place of burial: Faubourg d’Amiens Cemetery, Arras, France. Born July 1883, died February 28 1917 - aged 33. Born in Aldeburgh. Son of James Cable, the town’s famous Lifeboatman. Frank emigrated to Australia in 1909. Service details: Lance Corporal, Australian Infantry. Died at the Battle of Bethune. Place of burial: Warlencourt British Cemetery, France. Born December 21 1892, died April 3 1917 - aged 24. Born in Wimbledon. Family had a house on Lee Road, Aldeburgh. Service details: Lance Corporal, Honourable Artillery Company. Badly wounded at Mory/Ecoust St.Mein, died within two days. Place of burial: Euston Road Cemetery, France. Born June 1888, died April 29 1917 - aged 30. Born in Norfolk. Married an Aldeburgh girl who later lived in Fawcett Road. Service details: Private, Bedfordshire Regiment. Died at the battle of Arleux/Somme. Commemorated: Arras Memorial, France/ Aldeburgh War Memorial. Born July 1895, died April 10 1917 - aged 21. Born in Wimbledon. Family lodged in Aldeburgh. Service details: Captain, The Rifle Brigade. Died in action at Monchy-le-Preux. Place of burial: Monchy British Cemetery, France. Born March 8 1895, died April 10 1917 - aged 22. Born in Aldeburgh. Family lived in High Street, then King Street. Service details: Deckhand HMS Q20, Royal Naval Reserve. Serving on a minesweeper, died after being hit by a shell. Place of death: Alverstoke, Hampshire. Place of burial: St Peter and St Paul Churchyard, Aldeburgh. Born October 1897, died April 28 1917 - aged 19. Born in Aldeburgh. Family lived at Fort Green, then High Street. Service details: Private, Suffolk Regiment (Cyclist Battalion). Born October 1876, died June 15 1917 - aged 41. Born in Huntingdonshire. 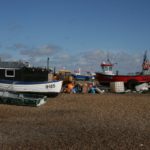 Family lived in Aldeburgh. Service details: Private, Royal Fusiliers. Died at the battle of Messines. Born June 1879, died July 1 1917 - aged 36. Born in Wiltshire. Widow moved to Aldeburgh after the war. Service details: Private, Lancashire Fusiliers. Born August 25 1894, died July 4 1917 - aged 22. Born in Aldeburgh. Family lived at Wentworth Terrace. Service details: Stoker, HMS Aster. Ship blown up by a mine in the Mediterranean. Born January 1883, died July 24 1917 - aged 35. Born in Aldeburgh. Family lived in the High Street. Died in the operations at Cambrai. Place of burial: Philosophe British Cemetery, Mazingarbe, France. Born July 1884, died July 26 1917 - aged 33. Born in Friston. Family lived in Aldeburgh, then Southampton. Service details: Lance Corporal, London Regiment. Place of burial: Lijssenthoek Military Cemetery, Belgium. Born January 1889, died July 31 1917 - aged 28. Service details: Lance Sergeant, Coldstream Guards. Born April 1887, died August 2 1917 - aged 30. Born in Aldeburgh. The family lived variously at Town Steps, King Street and High Street. Service details: Private, Lincolnshire Regiment. Died in the battle for Hulloch-Loos. Born October 1887, died July 31 1917 - aged 29. Service details: Sergeant, East Lancashire Regiment..
Born August 12 1895, died August 9 1917 - aged 22. Service details: Rifleman, Royal Irish Rifles. Killed in action at Freizenberg. Born July 1891, died August 16 1917 - aged 25. Service details: Corporal, London Regiment Royal Fusiliers. Killed in action at Langemarck. Place of burial: Tyne Cot Cemetery, Belgium. Born 1888, died August 26 1917 - aged 29. Born January 1896, died August 28 1917 - aged 21. Born in Aldeburgh. Family lived in Ransome House, King Street. Service details: Acting Bombardier, Royal Field Artillery. Place of burial: Bleuet Farm Cemetery, Belgium. Born 1890, died September 16 1917 - aged 27. Service details: Lieutenant, HM Submarine G9. All hands lost when G9 was rammed by a British destroyer. Commemorated: Portsmouth Naval Memorial/Aldeburgh War Memorial. Born January 1881, died September 27 1917 - aged 36. Born in Leiston. Family later lived in Aldringham. Died in action at Ypres. Commemorated: Tyne Cot Memorial, Belgium/Aldeburgh War Memorial. Born July 1883, died October 9 1917 - aged 34. Service details: Private, Norfolk Regiment. Born August 12 1881, died October 9 1917 - aged 36. Service details: Second Lieutenant, Yorkshire Regiment. Born July 1896, died October 26 1917 - aged 21. Born in Aldeburgh. Family lived in Lee Road. Service details: Private, Royal Warwickshire Regiment. Born January 1881, died October 29 1917 - aged 36. 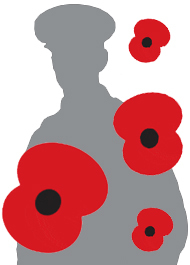 Service details: Sergeant Honourable Artillery Company. Place of burial: Voomezeele Enclosure 1-2, Belgium. Born 1895, died November 22 1917 - aged 22. Born in Scotland or Ireland. Lived at South Lodge, Aldeburgh. Service details: Captain, Gordon Highlanders. Died in flying accident over Essex. Place of death: Rochford, Essex. Place of burial: Sutton Road Cemetery, Southend. Commemorated: Spreyton War Memorial, Devon/ Aldeburgh War Memorial. Born January 1890, died November 30 1917 - aged 27. Born in London. Family lived in Aldeburgh. Service details: Major, Royal Garrison Artillery. Died in action at Villers-Guislain. Place of burial: Villers Hill British Cemetery, France. Born January 1882, died December 30 1917 - aged 35. Born in London. Family lived at Snape Bridge House. George was managing director of Maltings/ Maltster. Nephew of Elizabeth Garrett Anderson. Service details: Major, Royal Horse Artillery/ Royal Field Artillery. Place of burial: Rocquigny-Equancourt British Cemetery, France. Commemorated: Snape War Memorial/ Aldeburgh War Memorial. Born October 16 1888, died March 15 1918 - aged 29. Born in Aldeburgh. Family lived at Mispah House. Service details: Engine Room Artificer, HM Submarine D3. Submarine accidentally hit by Allied attack. All crew lost. Commemorated: Plymouth Naval Memorial/Aldeburgh War Memorial. Born March 1872, died March 20 1918 - aged 46. Service details: Private Royal Army Service Corps. Place of burial: Mont Huon Military Cemetery, France. Born September 13 1895, died March 26 1918 - aged 22. Born in Aldeburgh. Family lived at Knodishall Lodge, Saxmundham, then High Street, Aldeburgh. Service details: Second Lieutenant, Royal Flying Corps. Shot down by Baron von Richthofen (The Red Baron). Place of death: France and Flanders. Commemorated: Arras Flying Services Memorial, France. Born July 1889, died April 9 1918 - aged 28. Born in Lowestoft. Family lived at Bell Cottage, High Street, Aldeburgh. Service details: Lance Corporal, Suffolk Regiment. Died in the Lys Offensive, Flanders. Commemorated: Ploegsteert Memorial, Belgium/Aldeburgh War Memorial. Born January 1893, died April 10 1918 - aged 25. Born in Aldeburgh. Family lived in Park Road and Brudenell Street. Born October 1888, died April 13 1918 - aged 29. Born in Aldeburgh. Family lived in Fawcett Road. Died as a prisoner of war in Cassel Germenay. Place of burial: Niederzwehren Cemetery, Germany. Born January 9 1883, died June 15 1918 - aged 35. Born in Aldeburgh. Family lived in Wyndham House and Hartington Villas. Service details: Bombardier, Royal Garrison Artillery. Died at the Battle of Asiago, Italy. Place of burial: Magnaboschi British Cemetery, Italy. Born July 1881, died June 30 1918 - aged 37. Born in Aldeburgh. Family lived in Station Road. Service details: Gunner, Royal Garrison Artillery. Place of burial: Aire Communal Cemetery, France. Born July 1880, died July 25 1918 - aged 38. Born in Knodishall. Family lived in Red House Lodge, Aldeburgh. Service details: Driver, Royal Field Artillery. Died in action at Gouv-Servins. Place of burial: Villers Station Cemetery, France. Born April 1889, died August 8 1918 - aged 19. Service details: Lance Corporal, Essex Regiment. Died in action at Amiens. Place of burial: Beacon Cemetery, France. Born July 1890, died September 2 1918 - aged 28. Born in Herefordshire. Family lived in Lee Road, Aldeburgh. Service details: Corporal, Essex Regiment. Died in action at Drocourt-Queant. Place of burial: Dury Crucifix Cemetery, France. Born October 1881, died September 16 1918 - aged 36. Born in Beccles. Later, family lived on the High Street. Service details: Deckhand, HMS Vivid, Royal Naval Reserve. Place of burial: Aldeburgh, St Peter and St Paul Churchyard..
Born June 16 1880, died August 26 1918 - aged 38. Born in Aldeburgh. Family lived in Crespigney Cottages and Dawn Villa. Service details: Sapper, Royal Engineers. Place of burial: Bagneaux British Cemetery, France. Born May 19 1885, died August 27 1918 - aged 33. Died in action at the Battle of Albert. Place of burial: Albert Communal Cemetery, France. Born June 1889, died September 7 1918 - aged 28. 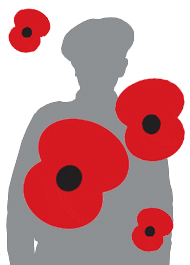 Service details: Sergeant, Royal Garrison Artillery. Died in action at Fins. Place of burial: Fins New British Cemetery, France. Born July 19 1889, died November 10 1918 - aged 28. Service details: Deckhand, HM Paddle Minesweeper Ascot, Royal Naval Reserve. Died after HM Ascot was torpedoed - the last British warship to be lost before the Armistice. Commemorated: Chatham Naval Memorial, Kent/Aldeburgh War Memorial. Born July 9 1901, died September 27 1918 - aged 17. Born at Hazelwood, nr Aldeburgh. Service details: Boy, Second Class, HMS Powerful. Place of burial: Aldeburgh, St Peter and St Paul Churchyard. Born January 12 1889, died March 15 1919 - aged 29. Born in Blaxhall. Later, the family lived in the High Street, Aldeburgh. Died from war injuries and illness. Place of death: Ipswich and East Suffolk Hospital.